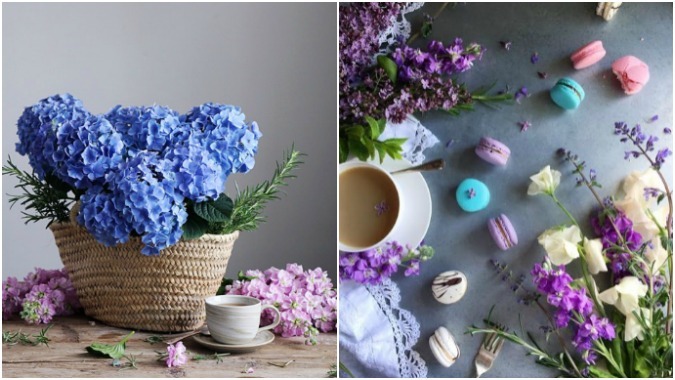 Top 10 Tips for Using Instagram | The Decor Cafe | Interiors. Gardens. Lifestyle. Home business. 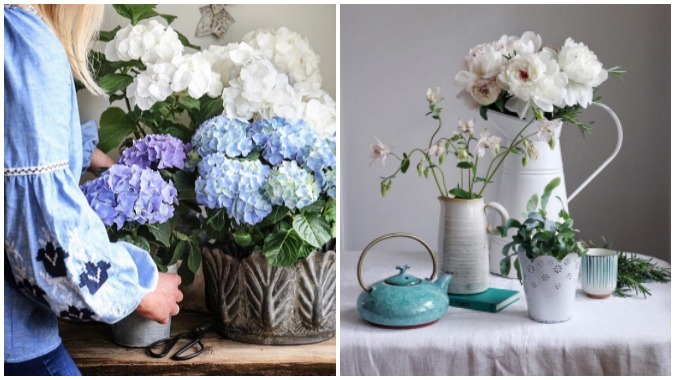 @jannelford started using instagram as a hobby, just a couple of years ago, but with more than 86,000 followers it has become a business, supporting the styling and photography workshops she runs in collaboration with Eden Blooms (sponsored by the Real Flower Company) and enabling her to provide photography and marketing support for other small businesses. She ran a very informative bite-sized workshop for our HomeBiz Club which was a complete sell out (we will be running another one soon) and we thought it would be helpful to share our notes. 1. It is easy to get started. Just download the app and get going! Everyone feels daunted when they begin, but actually you can keep your profile quite private taking photos and experimenting without anybody seeing. No-one will Then when you are ready you can change your settings so that everyone can see. It is only the top 9-12 images that most people will look at and so it is these that you should focus on. You can delete older images as you improve. 2. Create Your Full Profile. You have to have a photo of yourself or your brand and a simple bio to be taken seriously. No-one is going to interact if they can’t see who you are and you haven’t taken the trouble to say a few words to introduce yourself or what you do. 3. Research your audience. It is worth spending some time to find your tribe. Look for people who are posting images that are appealing and relevant to you and see what hashtags they are using. People search with hashtags and so using the same hashtags as your tribe is the easiest way to get found. Not using a hashtag is like locking yourself in a quiet dark room – you will not be seen. 4. Content is king. If you create original, engaging content you will be followed. Instagram is a great tool for any creative business because you can easily create your own portfolio. Jannel takes all her imagery herself, mostly on her iphone, and by creating engaging visual content you can take people down a journey to tell them about your brand. Even if you don’t have a visually appealing brand you can add powerful emotive values by taking your audience behind the scenes. 5. Be inspiring. People will look forward to seeing your posts if you create good quality, original images, ideally created by you. They don’t have to be complicated, they just have to be considered to appeal to your audience. A good question to ask yourself is what would appeal to you? 6. Collaborate. Instagram is a SOCIAL media and people will want to connect with you. Be generous in linking to others also, letting them know what you think of their posts, answering their questions and including them (just use their instagram name) in your posts. This will build your following and create real relationships between your audience and your brand. 7. Never post and run. It is tempting to think “ooh I haven’t been on instagram for a while” and dash out a post and then move on to what else you are doing. That is like saying something without bothering to listen to the reply. Instagram is a two-way communication take time to find out what others are saying and they will respond. It does take time and so you need to allow a good 15 minutes to engage every time you post. 8. Time your posts. Take the time to discover when your community are online and post at that time. For example if you audience have young children they are unlikely to be checking their instagram pre-school but will go online after drop-off or when the kids are in bed. If you audience works in town they are most likely to be checking their instagram on the commute. Once you have an established following you will be able to follow the instagram insights for more accurate information. 9. Consistency is key. Be consistent in your style, content, timing, regularity and tone of voice. People like to know what to expect from you and if you change too much you risk losing your followers. 10. Separate your personal life. People who follow you professionally will enjoy getting a sense of your personality from your images and tone of voice but are unlikely to be interested in your personal like – so if you want to share pics of friends and family start a separate account.